Over this past weekend, nearly a million women across America marched across the country to commemorate the 2017 Women’s March on Washington and advocate for women’s rights. We were supposed to join them here in Elmira, but the march was postponed due to bad weather. Come to Wisner Park next Sunday, January 27th, to hear speeches and march to Cowels Hall at Elmira College in support of women’s rights. The 2019 march will not be Elmira’s first (and hopefully not the last) women’s march. In March 1913, a group of women from the Chemung County Equal Suffrage League met at Elmira City Hall to start planning a suffrage parade. As someone who just helped to organize a women’s march, I can assure you that is a job of work and they probably should have started earlier. 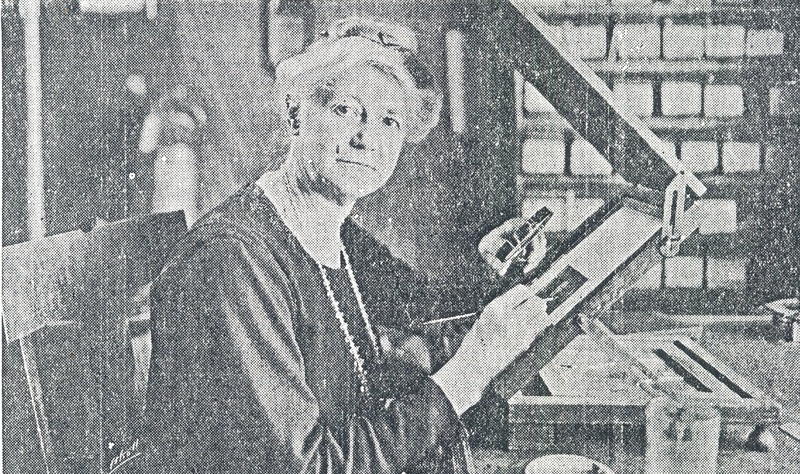 The group selected Frances Farrar, a local artist and teacher, to chair the parade committee. 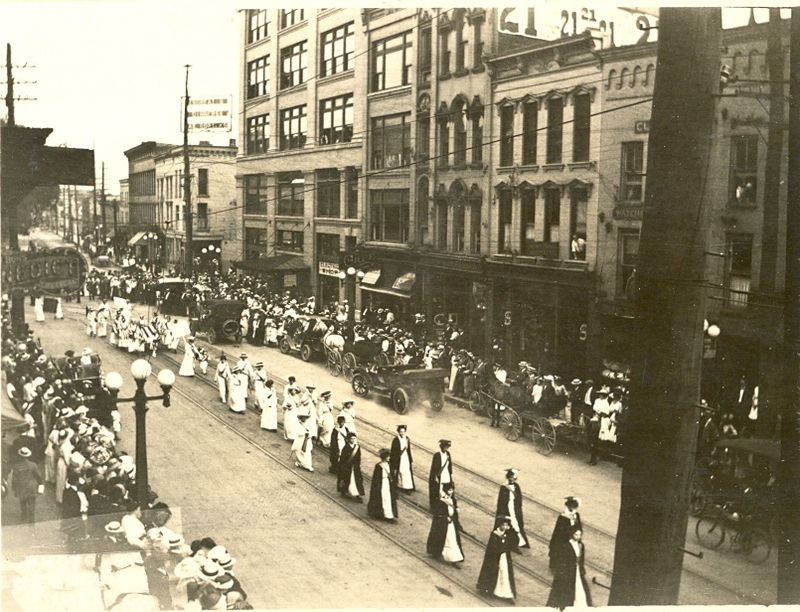 1913 was the summer of women’s suffrage parades throughout the state. The kick off was a march of approximately 20,000 women in New York City on May 3rd. It was soon followed by smaller parades in Mineola, Mount Vernon, Newburgh, Albany, Utica, Rochester, Monticello, and Syracuse. The run-up to the Elmira event began with notices in state-wide suffrage publications and articles in the local paper. Participants were encouraged to sign up in advance so organizers could establish the order of march beforehand. On Saturday, June 21st, the ladies began to march around 3pm. 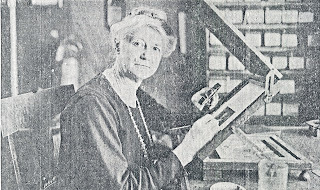 They were led by nationally-renowned suffragist activist “General” Rosalie Jones. The year before, Jones had famously led over 200 women on a 13-day, 175-mile march from Manhattan to Albany. She had been involved in several of the other marches across the state that summer and went on to lead another march the following day in Binghamton. Behind Jones came a platoon of police and Foster’s Band, followed by the parade committee. 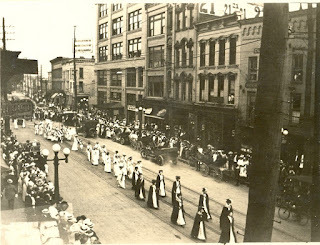 Next came the Elmira College girls in their caps and gowns, followed by delegations of women dressed in Suffragist Party yellow from across the state, with large groups from Bath, Hornell, and Geneva. 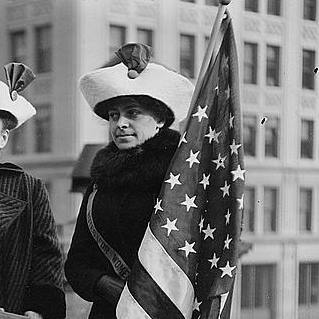 Some of the women wore large stars on their foreheads and carried placards with the names of states which had already granted women the vote. There were also a number of floats. Miss Democracy rode in the big Democratic Party float, which was covered in pro-suffrage banners featuring the Democratic donkey. 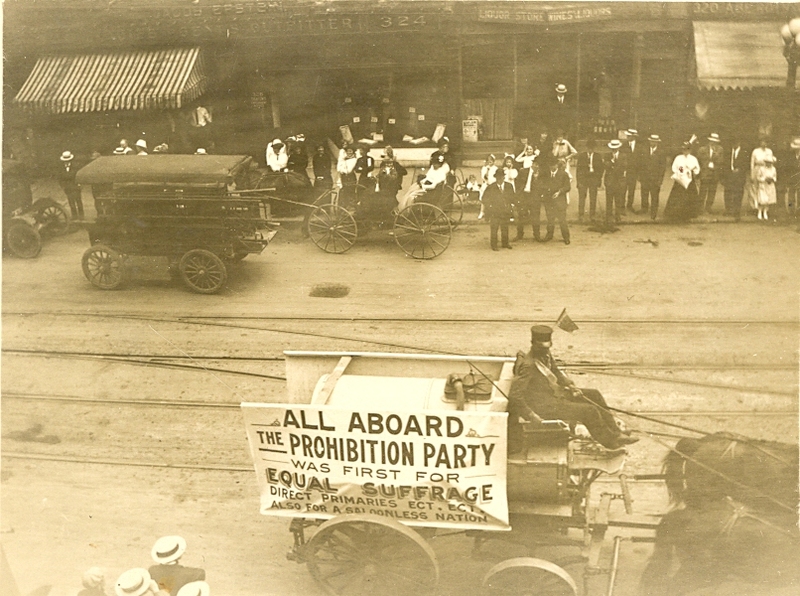 The Prohibition Party manned a float as well. Members from the Women Christian Temperance Union and the Young People’s Branch of the L.T.L. drove behind in cars. The exact number of marchers was unknown, but the Elmira Telegram reported that thousands were in attendance. Two years later in 1915, the New York held a referendum on granting women the vote. It failed statewide, but passed in Chemung County with 52% of the vote. In 1917, women’s suffrage was back on the ballot. This time it passed statewide, but failed in Chemung County.